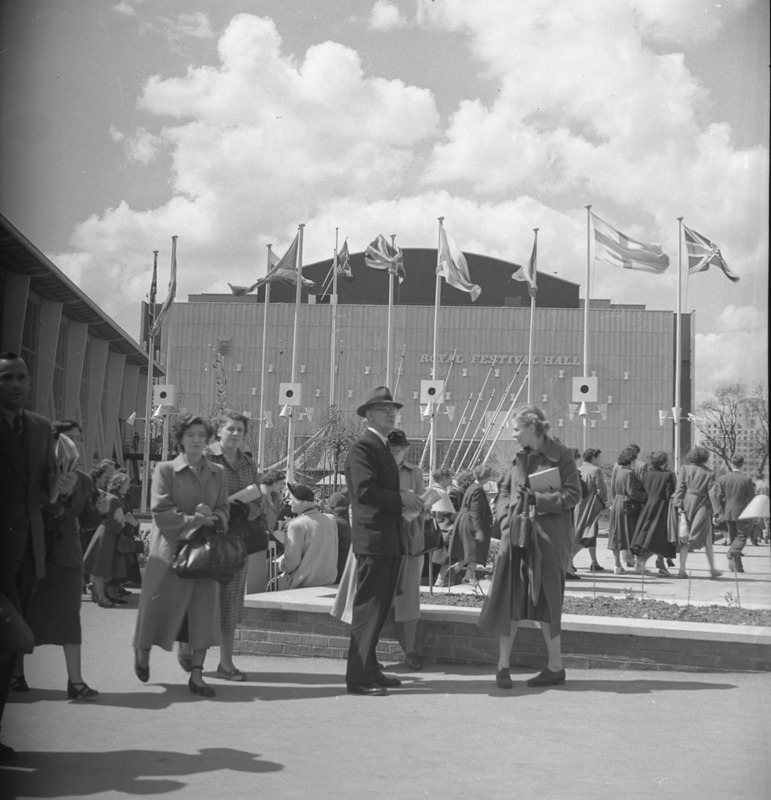 This year marks the 60th anniversary of the Festival of Britain, a national exhibition primarily held in the city of London of 1951. Emerging from the dismal period of the Second World War, Britain was in much need for a cause of celebration and this “tonic for the nation” (Leventhal: 1995) came in the form of a giant festival, organized to bring the best of British culture together and to showcase the progress of British technology, arts and architecture. The festival itself marked the centenary of the Great Exhibition of 1851, located in Hyde Park and famously featuring the Crystal Palace. 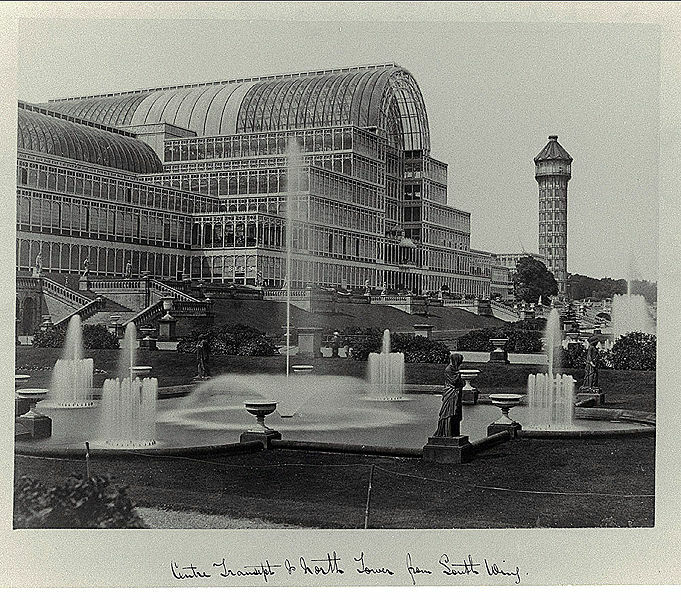 The event itself came at a time when Britain was at a peak in its industrial production, which was no coincidence as the festival was organized specifically to exhibit the best the industrial revolution had to offer. Visitors to the event were treated to demonstrations of how cotton turned into cloth, how microscopes worked, as well as exciting musical instruments (Forgan, 596). 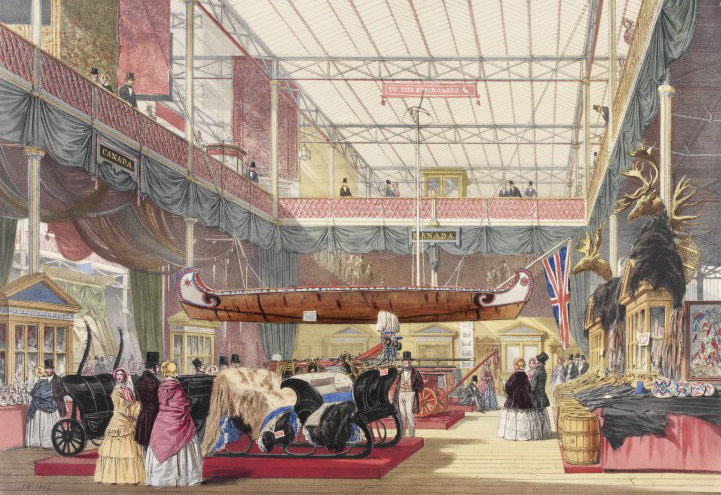 The Canadian “pavilion” at the Crystal Palace of 1851 featured, amongst other things, a canoe. Perhaps even more exotic than the industrial achievements were the colonial pavilions. The Great Exhibition was the first in a long line of world expos which include amongst its ranks the Exposition Universelle of 1889 (which gave us the Eiffel Tower), the World’s Columbian Exposition of 1893 (the White City and arguably the City Beautiful Movement), the 1939 New York World’s Fair (showed us the future in the City of Tomorrow), and more recently, Expo 2010 of Shanghai (symbolising the economic and political rise of China). Looking back at the socio-political climate of the 19th century, Britain’s colonies stretched from Australia, Singapore, India to Canada, giving rise to the phrase “the empire on which the sun never sets”. In a time when travel options were limited and time consuming, it made much more sense to bring the world together in one place, and that was what the Great Exhibition did. British colonies exhibited pieces of art and culture under one glass roof, showcasing canoes from Canada next to the Koh-i-noor diamond from India. Fast forward 100 years to 1951. 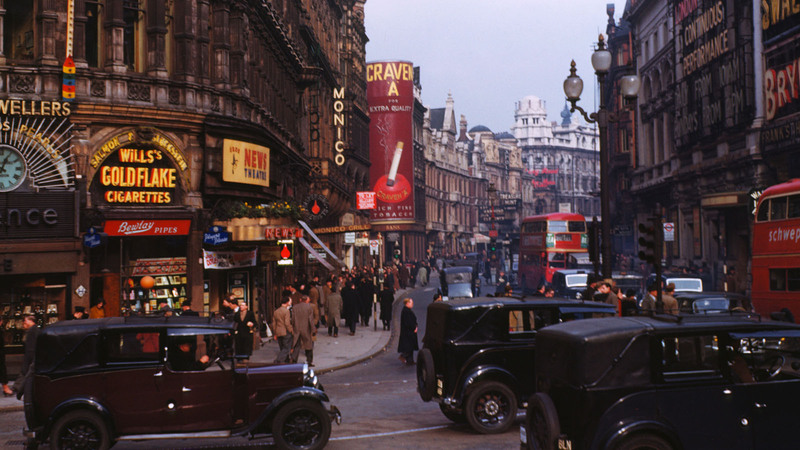 Britain had recently emerged from the Second World War, the economy was in much need of a recovery and London remained chiefly in shambles. What was needed was a national event that would stir up the emotions of the country, a festival that reminded people of what it meant to be British and why Britain was still going strong. Contrary to 1851, when Britain celebrated its empire of colonies, the Second World War and mounting political pressure had resulted in Britain granting independence to much of its colonies. As such, the festival became much more about what Britain was, rather than what Britain had, thus aptly named the Festival of Britain. 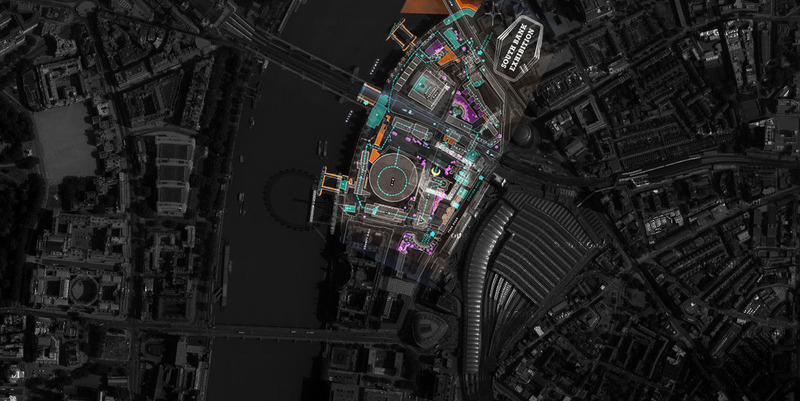 Choosing a site for the Festival was as much driven by the need for an open venue as much as the organizer’s desire to set an example for post-war urban design in Britain. 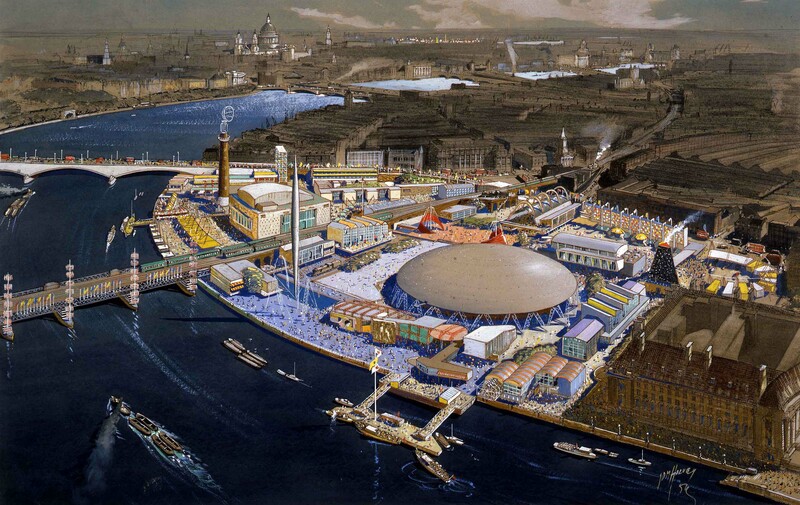 South Bank, an area previously filled with warehouses and working-class housing and had seen particularly heavy bombing during the war, was cleared facing the Thames and designed as the festival ground. Placed under the watchful eye of Hugh Casson (who received a knighthood in 1952 for his achievements), the architecture of the Festival introduced the British public to International Modernism. Simple geometric shapes, the use of concrete and the prominent features of space featured heavily throughout the pavilions’ designs. 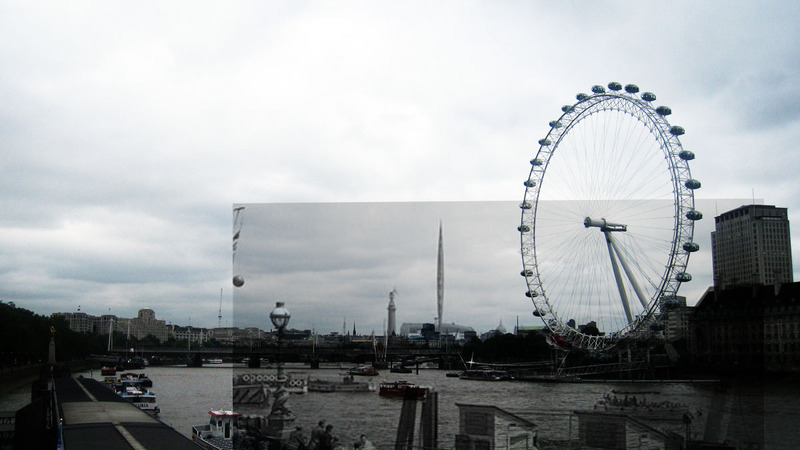 Barry Turner, when interviewed by BBC Radio (2011), commented specifically on the light and airiness of the space at the Festival of Britain. This of course was in contrast to the London of the 1940s and 50s, a city known for its narrow streets and built up area. One particular building which stood out from the Festival was the Dome of Discovery. 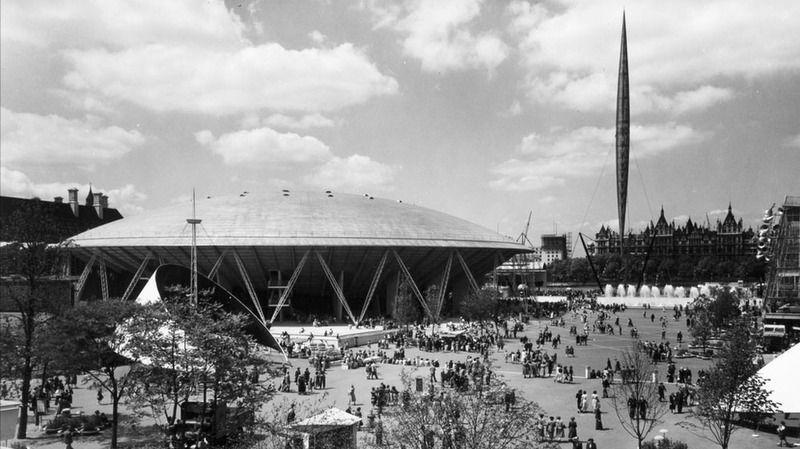 Since demolished, contemporary visitors to London could still get a sense of what it was like by visiting the Millennium Dome, which bears a resemblance to the Dome of the 1950s. Supported by steel pillars, the Dome appears as though it is floating above the grounds. 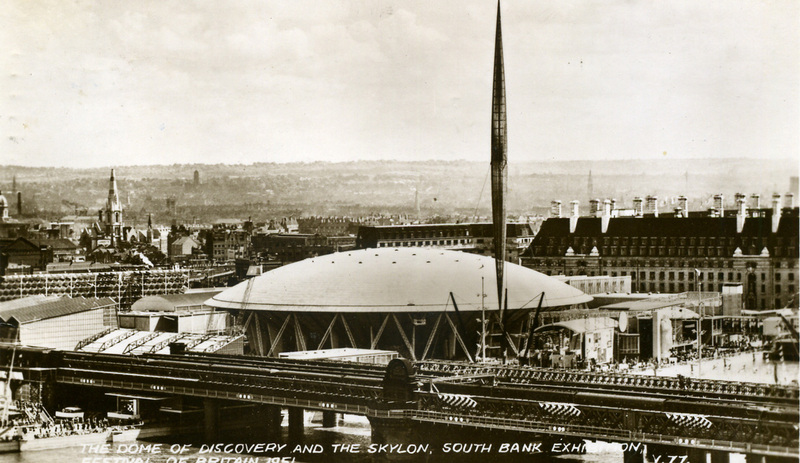 Next to the Dome of Discovery floated the Skylon, nothing more than a folly but proving what follies can do to inspire. 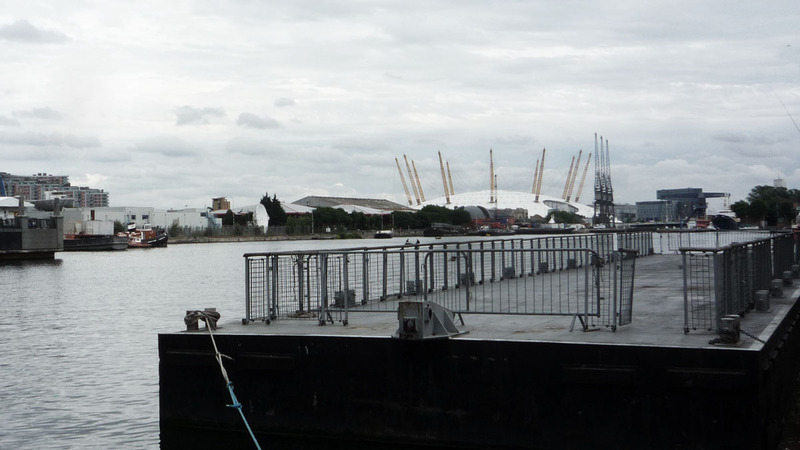 Supported by cables, it appeared to stand with no visible means of support and was engineered by Felix Samuely, a lecturer at the AA. 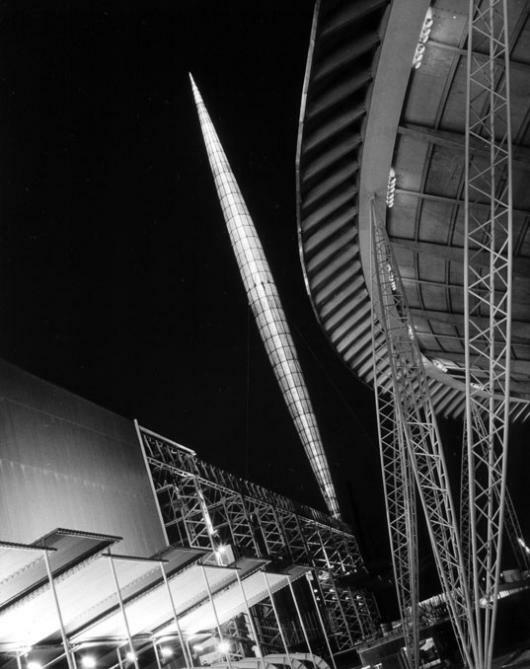 The form of the structure, almost rocket like and poised as though it was about to be launched into space, injected a sense of movement and dynamicism into the Festival. 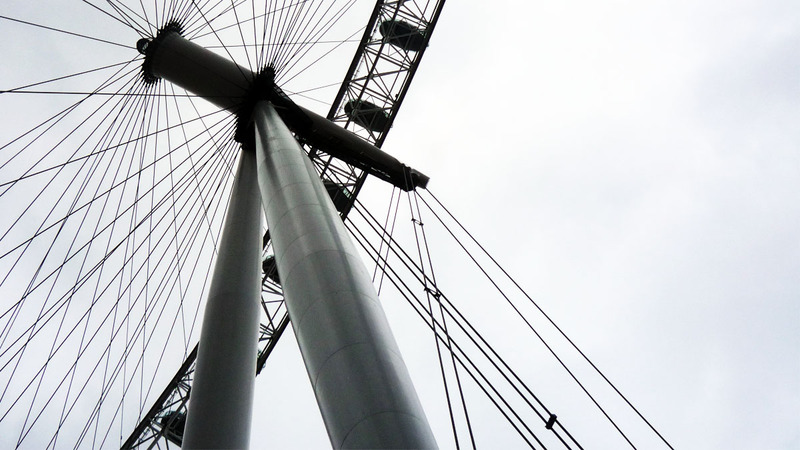 In fact, one could even argue that the London Eye, which stands at the original site of the Festival of Britain, shares the same sense of structural liberation expressed by the Skylon. 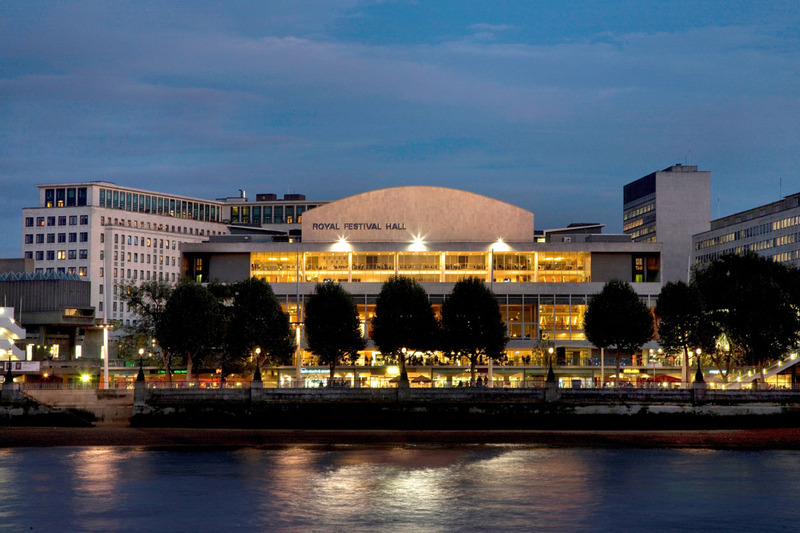 The only structure still remaining at the original site is Royal Festival Hall. An auditorium built to host concerts and other performances, it is particularly noted as being exceptionally modern, both in its extensive use of concrete as well as its geometric form. 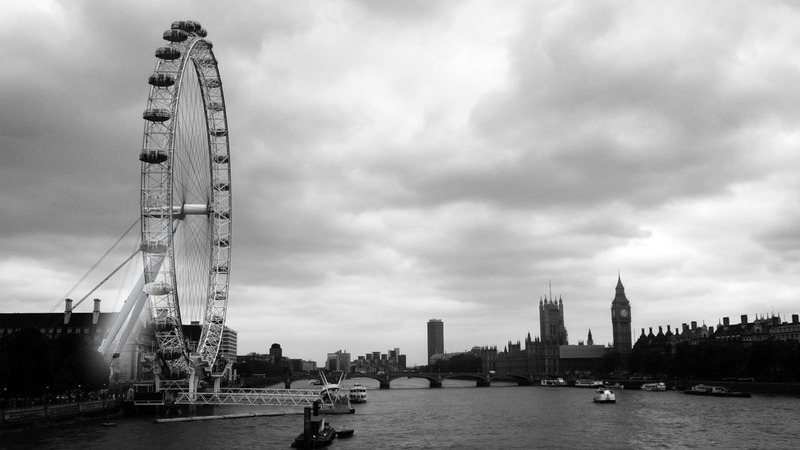 Standing just across the Thames from buildings such as the Gothic Revial Westminster Palace, and the Neoclassical Somerset House, it must have appeared quite a shocker with its raw material and functionally driven form. The Festival closed in September of 1951 and was promptly cleared by the incoming Churchill government. 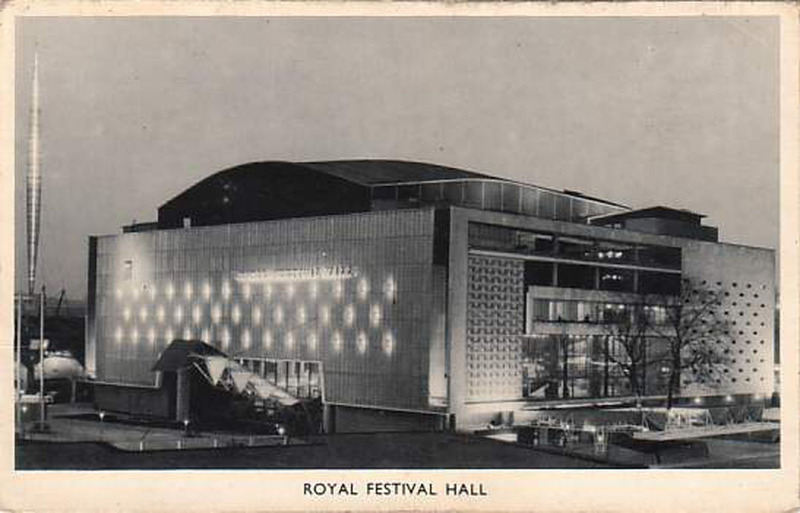 Only Royal Festival Hall remains standing to this day. 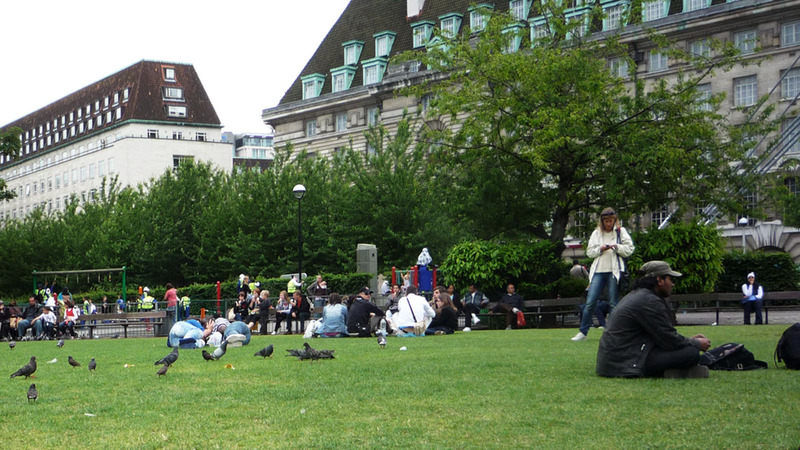 The site itself was turned into Jubilee Gardens in 1977 to mark the Silver Jubilee of Elizabeth the Second, yet the greatest impact and legacy of the Festival would not be in its actual built form. The Festival is best remembered for the nationalistic pride it brought to Britain, the sense of culturalism that celebrates the epitome of a nation. It showed the British public what could be achieved and what they had to be proud of, and united the nation through its demonstration of architectural possibilities. 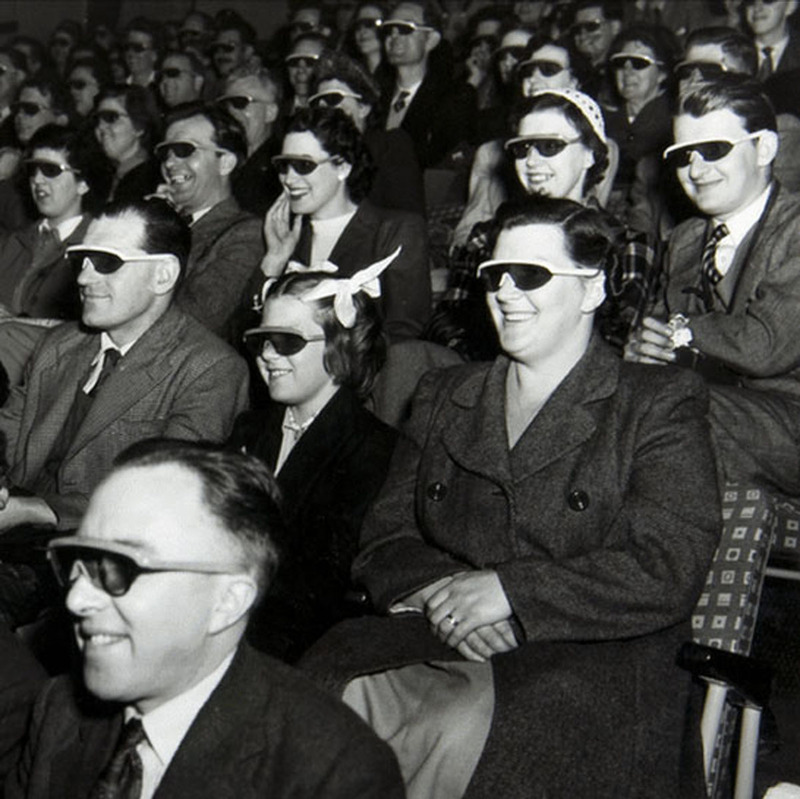 Visitors to the Festival of Britain were treated to a demonstration of 3D movies. 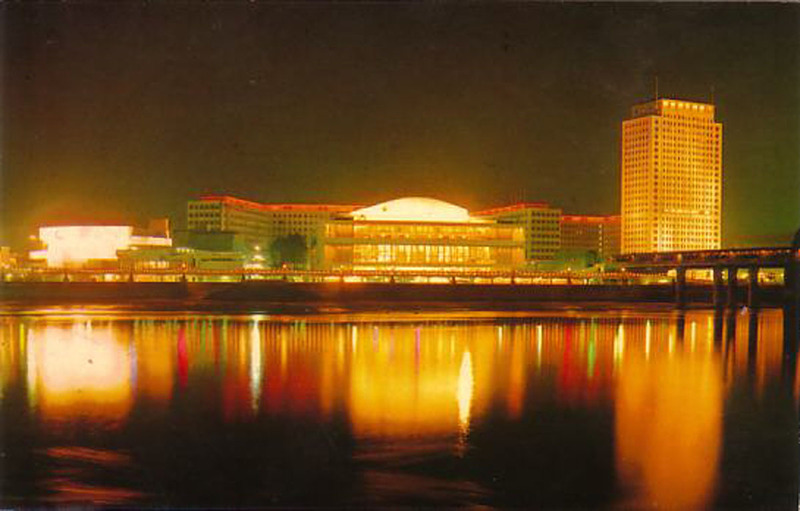 In 1951. As Misha Black, one of the architects of the Festival remarked, the architecture itself was not innovative. What was particular about it was that it showed the British public what Britain could be, and that highlights the whole point of the Festival of Britain. It showed what people, and for this particular case, the British could accomplish if they dared to imagine. It was people pushing boundaries and doing things simply because they could. 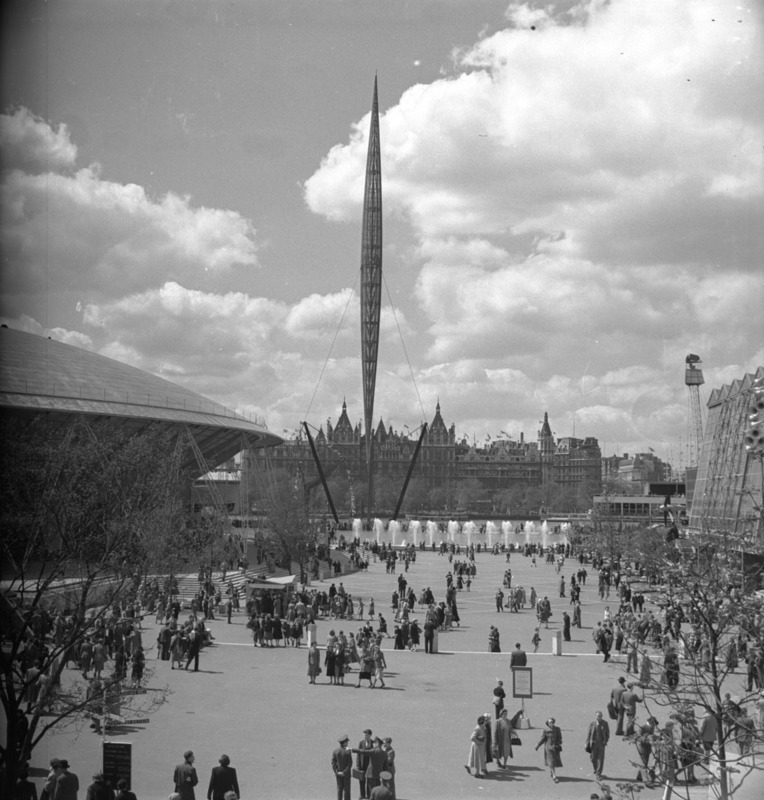 True, the Skylon had no particular use whatsoever, but it demonstrated to the public what could be achieved, what was possible, and inspired the nation. BBC Radio. 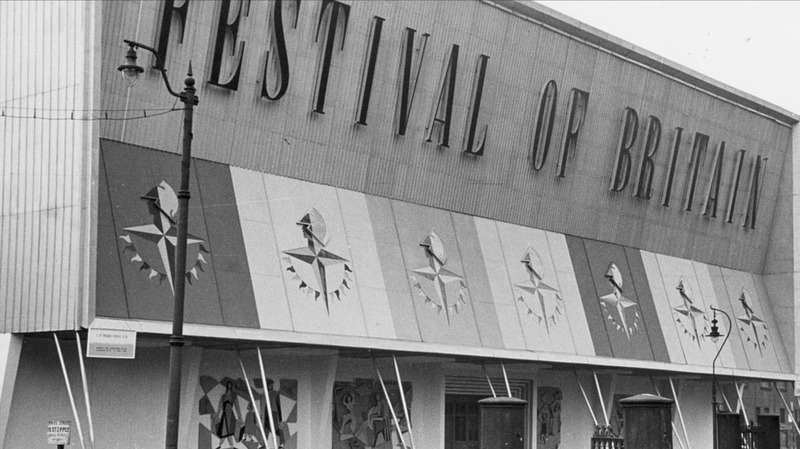 “Festival of Britain”, Witness. http://www.bbc.co.uk/programmes/p00g9stg. Accessed May 15th 2011. FORGAN, S. A compendium of Victorian culture. Nature, 403 (6880), 596. LEVENTHAL, F.M. “‘A Tonic for the Nation’: The Festival of Britain, 1951”, Albion. Vol. 27, No. 3, Autumn, 1995.